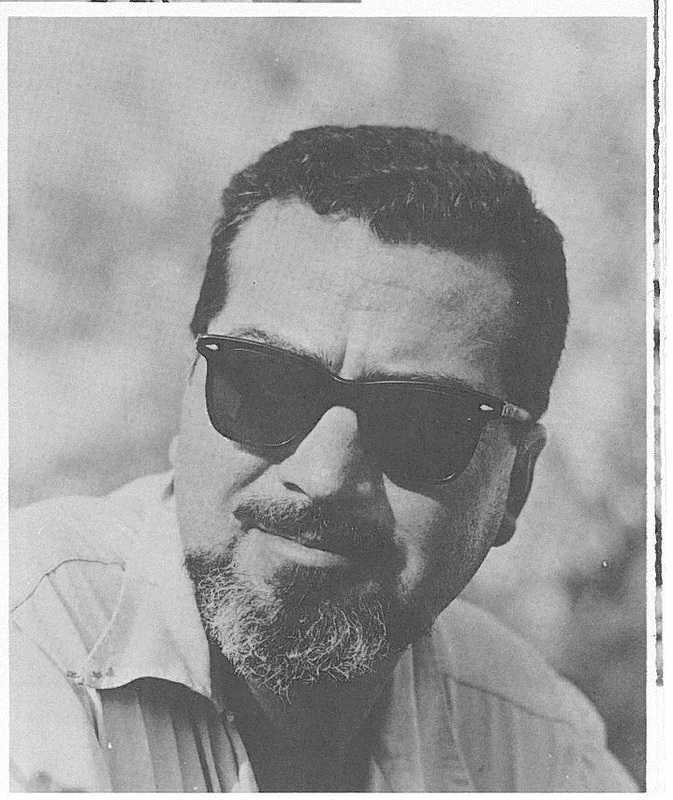 Alfred Bester Born Alfred M. Bester in New York City on December 18, 1913, the second child of James J. Bester, who owned a shoe store, and Belle Bester (née Silverman), a Russian immigrant. Graduated from the University of Pennsylvania, where he played on the football team, in 1935; studied law at Columbia for two years. In 1936 married Rolly Goulko, an actress and later advertising executive. Published his first story, “The Broken Axiom,” in Thrilling Wonder Stories in 1939, winning a prize for best amateur contribution. Wrote thirteen more stories for the magazine by 1942, when he followed his editors Jack Schiff and Mort Weisinger to DC Comics; contributed scripts and outlines for Superman, Batman, Green Lantern, and Captain Marvel, also working on the Lee Falk comic strips The Phantom and Mandrake the Magician. In 1946, began writing radio scripts for The Shadow, Charlie Chan, Nick Carter, Nero Wolfe, and other programs, shifting to television in 1948, most notably with Tom Corbett: Space Cadet. 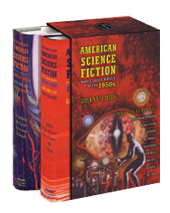 Returned to science fiction beginning in 1950, publishing stories in Astounding Science Fiction and The Magazine of Fantasy and Science Fiction and his first novel, The Demolished Man, in Galaxy magazine in 1952 (book, 1953); it won the first Hugo Award. Attended gatherings of the Hydra Club, meeting Isaac Asimov, James Blish, Anthony Boucher, Avram Davidson, Judith Merril, Theodore Sturgeon, and others. In 1953 published “Who He?” (later reprinted as The Rat Race), a novel about the television industry. With the proceeds of the film rights, moved with Rolly to England and then Italy, where he wrote articles on European television for Holiday magazine, and finished The Stars My Destination, his third novel (first published in England as Tiger! Tiger!, 1956, then in the U.S. in 1957; adapted as a graphic novel in 1979 and 1992). In 1957, delivered lecture “Science Fiction and the Renaissance Man” at the University of Chicago. Published Starburst, a collection of stories, in 1958 (later collections included The Dark Side of the Earth, 1964, and Starlight, 1976). Adapted his story “Fondly Fahrenheit” for television as Murder and the Android (1959). Became a regular contributor to Holiday and then senior editor from 1963 to 1971, when the magazine folded. Went on to write novels The Computer Connection (1975; serialized as The Indian Giver and published in the United Kingdom as Extro), Golem100 (1980), and The Deceivers (1981). Moved to Ottsville, Pennsylvania, in the early 1980s; died of complications from a broken hip on September 30, 1987, in nearby Doylestown. His unpublished early thriller Tender Loving Rage appeared posthumously in 1991, followed in 1998 by an unfinished novel, Psychoshop (completed by Roger Zelazny). In 2001 he was inducted into the Science Fiction Hall of Fame. Alfred Bester looks back at his career as a writer for science fiction, television, and the comics in this engaging biographical essay from the 1975 collection Hell’s Cartographers. Copyright 2012 Literary Classics of the United States, Inc.